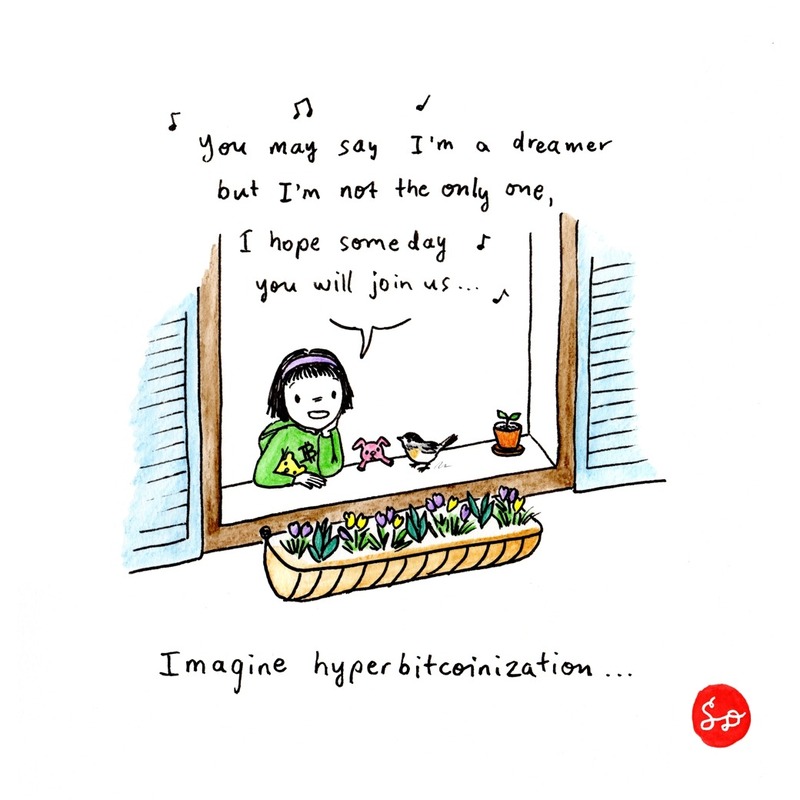 As far as I know, "hyperbitcoinization" is a term that was first coined by Daniel Krawisz, cofounder of the Satoshi Nakamoto Institute. assumption: "Bitcoin" is not just BTC the parent. It is all of the children (forks) of Bitcoin. My nod to John Lennon's Imagine lyrics is actually a bit of a stretch ("it isn't hard to do" might depend on your capacity to accept change). I still cannot completely wrap my head around what things will look like in the near and far future, and how things may unfold. This is my favorite doodle, I love the idea of peace and togetherness, among the cryptos. I even, steadfastly stood by this for the first few months after Bitcoin Cash's release. The fact that the Miners made, GREAT, compromises during the Hong Kong and NY agreements gave me great hope for the future of Cryptocurrency. Then I saw Vortex fist pumping the UASF on the World Crypto Network and knew that we had failed the people of the cryptocurrency community, but I still put on the happy face and tried to get the crypto world "to live as one." We will all have to make compromises for the future, but I'm sure we can do it. My Hippy thought for the day.